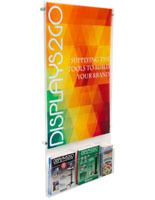 Media Size: 18" x 24"
These modular 18x24 poster stands are economical and space-saving alternatives to traditional floor or countertop information signs and brochure display racks. 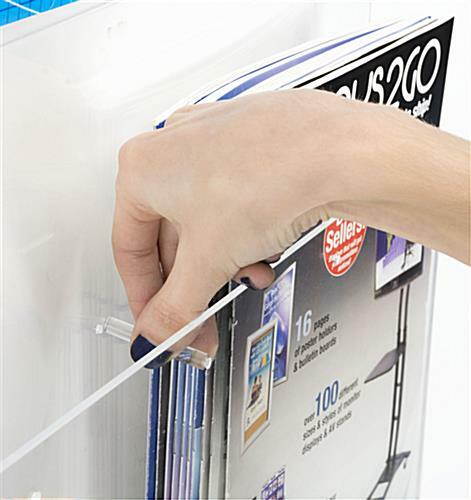 Each clear acrylic fixture is designed for wall mounting in high traffic areas and includes (4) 1.3" silver edge-grip standoffs. 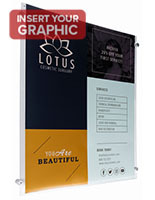 The 18x24 poster stands feature brochure cases that can accommodate different width literature. 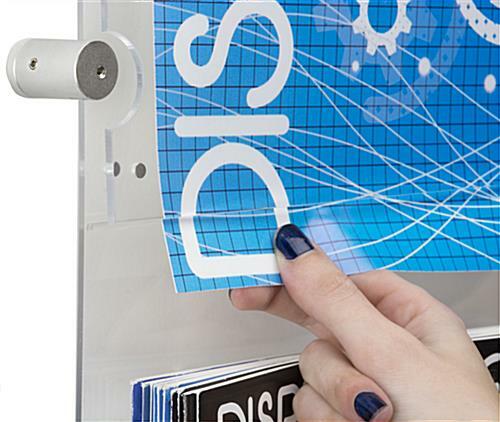 Ideal for multi-company displays or for businesses with multiple collateral sizes, the clear acrylic case pockets can be set to hold (4) 4x9 trifolds, (2) 8.5x11 flyers or various other configurations. 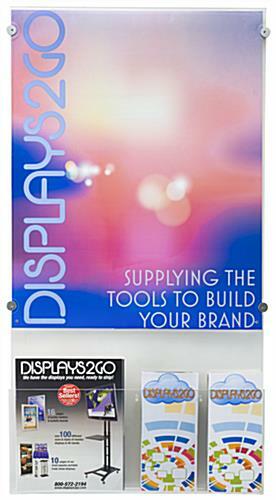 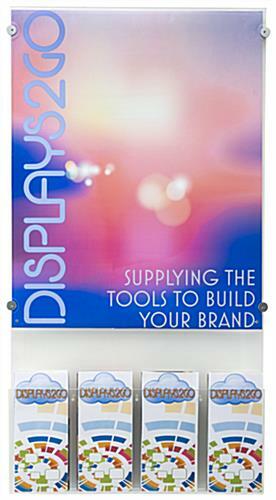 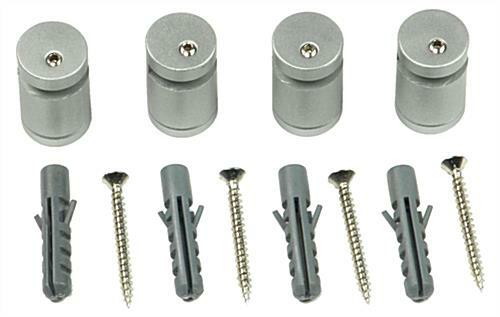 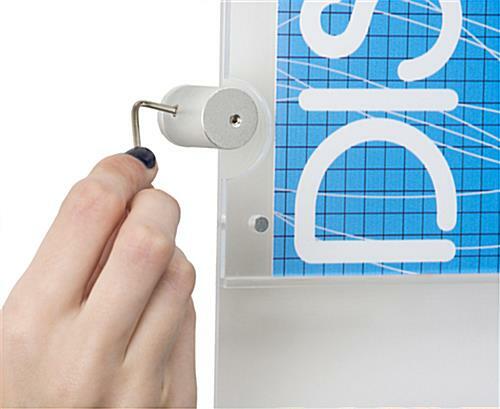 These versatile poster stands use button magnets to hold art or graphics in place. 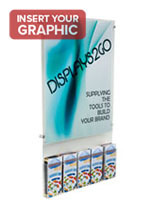 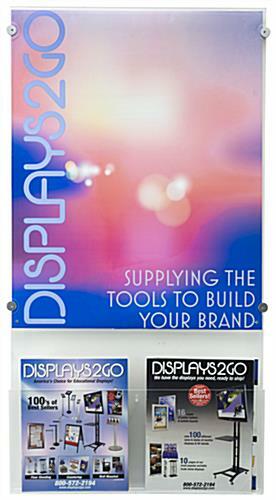 In addition to showcasing art or messaging, this type of easy access fixture makes a great company information display or self-service advertising center. 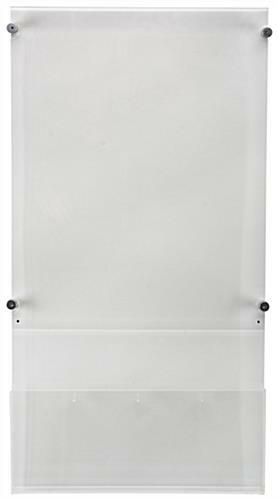 19.1" x 35.5" x 2.3"
18.9" x 8.9" x 2.0"